Data & Society > our work > op-ed > What Happens to the Internet After a Disaster? What Happens to the Internet After a Disaster? 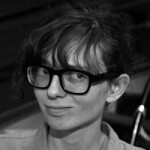 D&S INFRA Lead Ingrid Burrington investigates community network infrastructures in times of disaster.